Don't minds me. 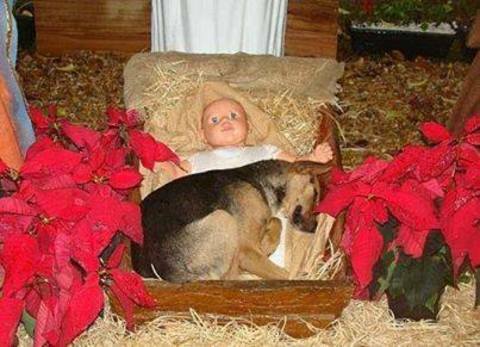 I is just guarding ther baby Jesus. Is also multitaskings by napping at ther same times. HA!